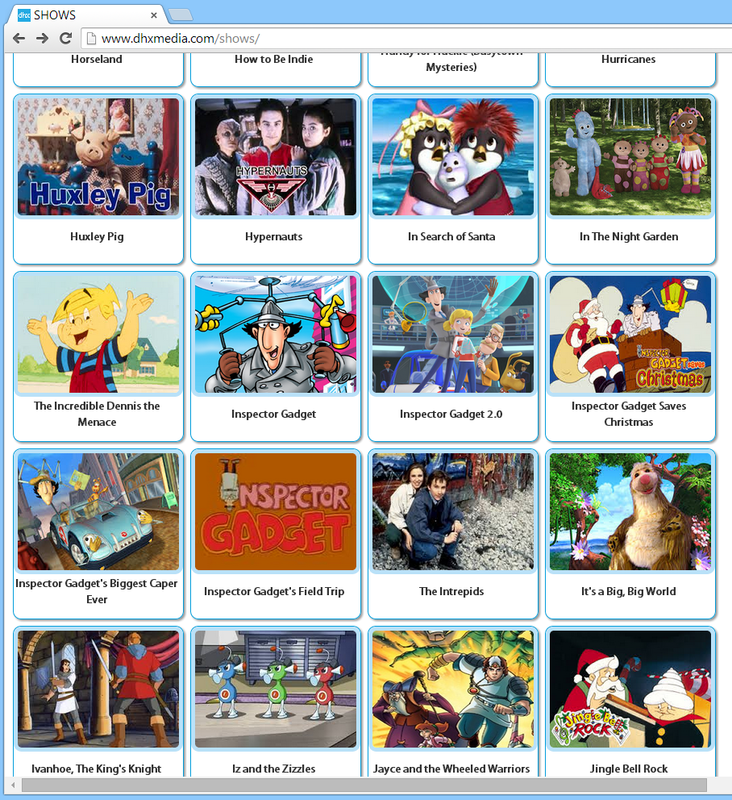 Anyhoo, the news: Approximately a month ago - on August 15, according to Google - DHX Media finally added the new Inspector Gadget series to their online distribution and show catalogues, as well as to the "New Shows" section. Remember how the reboot was called "Inspector Gadget NEW Series" in the PDF catalogue released in January? Well, for their site, DHX has found an even simpler way of separating new from old: The reboot series is listed as "Inspector Gadget 2.0". Inspector Gadget, Chapter 2. I'm sure the series' on-screen title will still just be "Inspector Gadget", but this seems to work nicely to set the reboot apart in the catalogue. 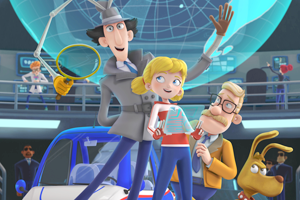 as a thumbnail for "Inspector Gadget's Field Trip". IT MAKES NO SENSE. INSPECTOR GADGET is BACK! Dr. Claw has reactivated his global crime syndicate MAD and the bumbling Swiss army knife detective has been brought out of retirement to save the world! Tagging along with Gadget is his niece Penny and her trusty dog, Brain. Now an agent in training, Penny uses her intelligence, martial arts and high tech gear to keep her bumbling Uncle Gadget safe from harm. But it won't be easy. Dr. Claw has a secret weapon. His handsome nephew Talon is eager to learn a little old school evil as they try to take over the world. INSPECTOR GADGET is BACK! Dr. Claw has reactivated his global crime syndicate MAD. Only the bumbling Swiss army knife detective can stop him! With his niece, Penny and her dog Brain, Gadget must combat the sinister Dr. Claw (and his nephew TALON) who keeps trying to take over the world. ...confirming once more the series' format: 52 11-minute episodes produced as 26 half-hours. I still hope the series allows for a full-fledged, 22-minute episode once in a while if the story needs it, but I'm not sure how likely that is. We'll see. For the sake of completion, here's also the picture being used on DHX's site. Yeah, we've seen it before in a less cropped version, but I'm noticing the color settings are brighter here. Which is clearly Very Important. And that, ladies and gentlemen, is just one reason this blog is one of the geekiest places on the internet.